It is easy to keep your pets and your sleep health separate when you’re taking care of fish in an aquarium or hamsters in a small habitat. When you share your living space with a furry friend, though, things can get complicated. An indoor cat or dog may have designated spots throughout the house—beds, pens, scratching posts, and the like—but sooner or later, they will get curious and wonder where you go when you disappear every night. They’ll eventually find your bedroom—if you haven’t already invited them in, that is. Some pet owners treat their bedroom as a pet-free sanctuary; something that we do recommend here at Good Night’s Rest. After all, a bedroom is supposed to be cozy, clean, and devoid of distractions. It’s easy to maintain great sleep quality if your sleeping area is close to this ideal. However, we do realize that the majority of pet owners likely allow their pets into the bedroom. This falls under the realm of personal preference, for the most part, so we won’t judge. Your house, your bedroom, your pet, your rules. We do recommend that you arm yourself with appropriate information, though. Most of all, be objective and don’t put your emotional bond with your pet above your own health! Allowing animals in the bedroom should not result in a negative change in your sleep habits. Below are some articles that you may find helpful. 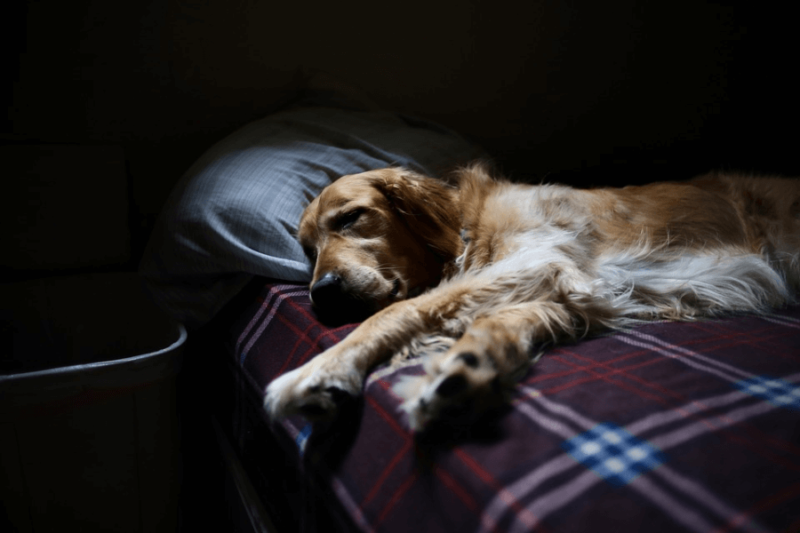 Can Animals Help Treat Sleep Disorders? According to the CDC, one in three adults in the US don’t get enough sleep. Even more alarming is that an estimated 50 to 70 million American adults suffer from sleep disorders! Now, consider the following pet owner numbers while keeping the aforementioned CDC statistics in mind: Almost 70% of all American households include one or more pets; and over 40% of these households are the homes of dogs. Because pups can also be trained to assist people, they can be found in work settings, too: from farms and hospitals; to police stations, fire departments, military installations, and more. 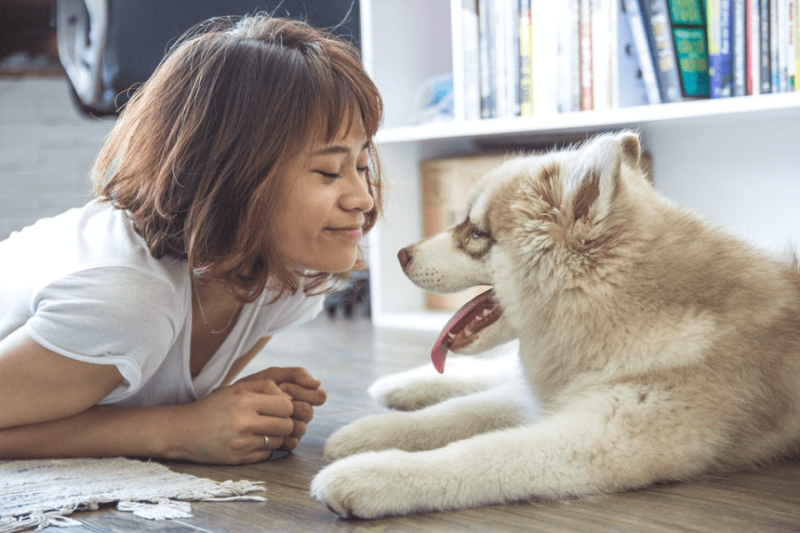 While we can’t be sure of the exact overlap in these numbers, it’s a pretty safe assumption that there are more than a few people in the US suffering from sleep troubles that also happen to be pet friendly. With this in mind, it just makes sense to look into the viability of using animals to make life a little easier for people with sleep problems. 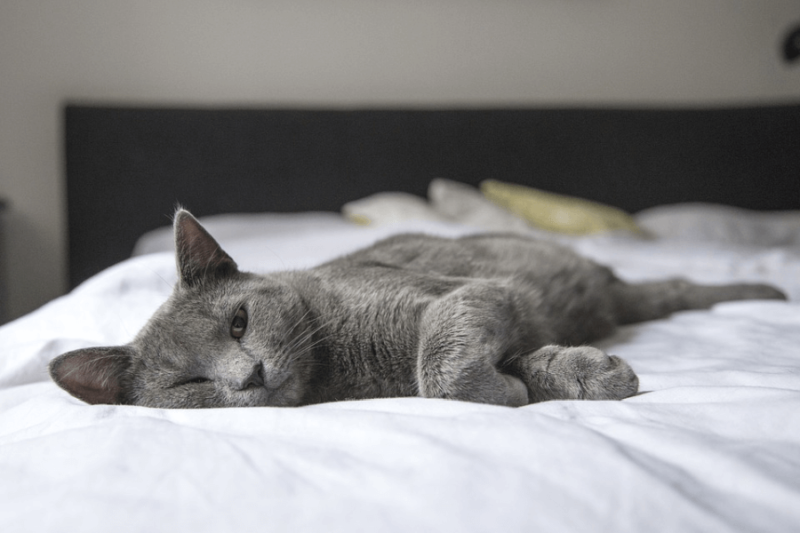 Pets & Sleep: How Much Is Too Much? We know that for humans, sleep is an essential part of physical and mental health maintenance. The same should be true for your Garfield or Snoopy, right? The fact is that we worry so much about our pets’ sleeping schedule because they’re so different from our own. It’s normal for the average person to be a little sleep deprived; often the problem for most humans is not getting enough sleep. In comparison, it can seem like cats and dogs just nap all day—and most of the night, too! Sometimes it feels like it can be a bit too much; but how can we tell if they’re oversleeping or not? Here’s the lowdown on pets and their sleep habits—because we know that worrying about your beloved furry best friend will probably affect your sleep habits, too. Should Pets Be Allowed to Sleep on Your Bed? The short answer: No—but there’s a good chance that pet owners will allow it, anyway. Pet owners, we know that you love your fur babies. We know that you don’t feel like your dog or cat is affecting your sleep. Some studies even support this notion, although they do verify that sleeping without a pet on the bed is still better for sleep efficiency. Allow us to present you the facts, at least—and know that this is coming from people that have pets, too. All we ask is that you be aware of what sleeping with your pet on the bed really means for you and your health. 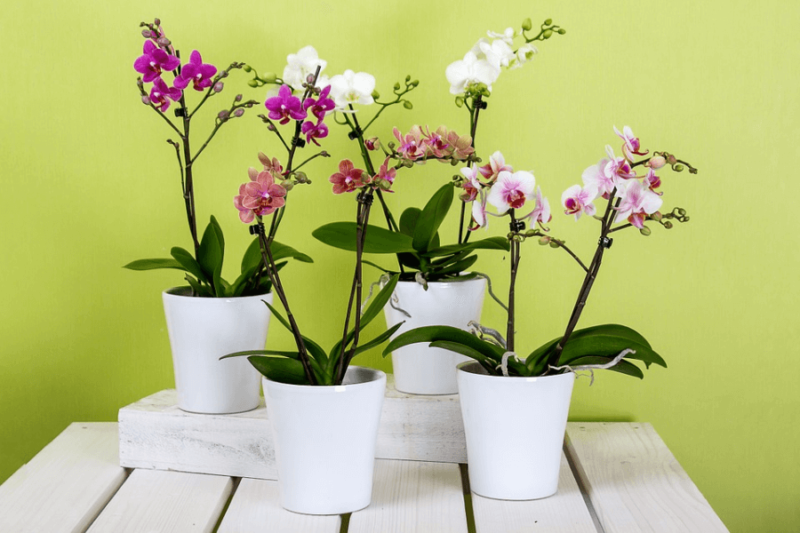 While most plants simply absorb carbon dioxide and release oxygen, some clean the air more than others; removing chemical traces left behind by cigarette smoke, cleaning products, manufacturing processes of typical household items, and more. It’s plants like these that you should keep in your bedroom. Not all air-purifying plants are non-toxic when ingested or handled, though—which is a problem if you have pets around! While you can keep plants out of reach by hanging them or putting them somewhere inaccessible, why go through all that trouble? An easier solution is simply to choose pet-friendly foliage. Here is a list of our five favorite non-toxic bedroom plants. This list is also included in our Bed, Botany & Beyond series of articles.